Welcome to heartbreak. If you are a fellow Minnesota Vikings fan like me, this list might be a tough one to get through for one obvious reason; no happy ending. The Vikings are the NFL team with the all-time best winning percentage in the regular season to still be searching for their first Super Bowl championship. I still maintain that if they ever do win one (such as in their own stadium this coming February perhaps?) it will be made that much sweeter since they have come so close so many times. Still, the Vikings are a storied franchise with a lot of great teams. Let’s countdown the top ten. The 1987 Minnesota Vikings season was in many ways the antithesis of most of the seasons on this list. Instead of having a dominant regular season team that fell short, the 1987 Vikes were a thoroughly mediocre team in the regular season that overachieved in the playoffs to the point where they almost snuck into their fifth Super Bowl. The 1987 NFL season was a bizarre one which included a players’ strike that led to replacement players being used for three games in October. The Vikings lost all three games played with the temporary players, so their ultimate 8-7 regular season record was probably not indicative of how good they really were. Still, this was no dominant team. That said, the Vikings knocked off the Saints in New Orleans, then the legendary Joe Montana and the dynastic 49ers in San Francisco. The run ultimately ended when the Vikings lost 17-10 at the doorstep of the end zone against the Redskins in Washington. Despite falling short, it was a hell of a run that deserves to be recognized. The Vikings 2000 season was a very good one with an incredibly embarrassing finish. The Vikings’ 41-Doughnut no-show in the NFC Championship game against the New York Giants remains the most baffling game I’ve had as a fan. The Giants and Vikings were both good but flawed teams. It was in the Meadowlands so I knew it was going to be a tough game, but I expected it to be competitive. Nope! Other than its ending, the 2000 season is most memorable as being Daunte Culpepper’s first as the Vikings’ starting quarterback. Before his knee was shredded Culpepper looked like the franchise quarterback the Vikes and their fans had been waiting on for years. While it did not end up that way, his 33 TDs and 98.0 QB Rating his first season at the helm were certainly legitimate reasons for optimism. For the most part, the 1971 season was a carbon copy of the 1970 season for the Minnesota Vikings. They rolled through the regular season, only to lose a Divisional playoff game at home to end their season, this time to the Dallas Cowboys instead of the San Francisco 49ers as they did the season prior. What set 1971 apart was Alan Page. The eventual Pro Football Hall of Famer had a season for the ages. Page became the first defensive player to ever with the AP NFL MVP award. Lawrence Taylor remains the only man to this point to duplicate that feat. Page also was named the NFC and NFL Defensive Player of the Year, was named to the NFC Pro Bowl team and was First Team All-Pro. In a career full of incredible seasons, one of the greatest Vikings of all-time saved his best for 1971. Fran Tarkenton means an awful lot to the Minnesota Vikings organization. 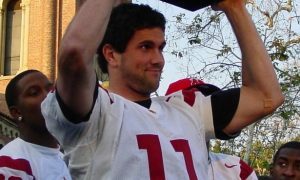 He was their starting quarterback in three of their four Super Bowls and is the only bona fide franchise quarterback who had a lengthy career with the team. By the time he retired, he held every significant career passing record in the NFL. 1975 happen to be the season he was fully recognized by the NFL, winning the league’s MVP award. The Vikings started the 1975 season 10-0 and rolled into the postseason. As happened with all other tremendous Vikings regular seasons, heartbreak soon followed. The Dallas Cowboys came to town, Drew Pearson pushed off of Nate Wright and the term “Hail Mary” had a home in the game of football. Good God is the Vikings’ history ever unfair. Since I was not alive for the four Super Bowl losses, 1998 still hurts the worst, but the 2009 NFC Championship is a close second. Though the game officially ended in overtime on a New Orleans field goal, it felt like it ended when Brett Favre threw an across his body interception, killing the potential game-winning drive at the end of regulation. 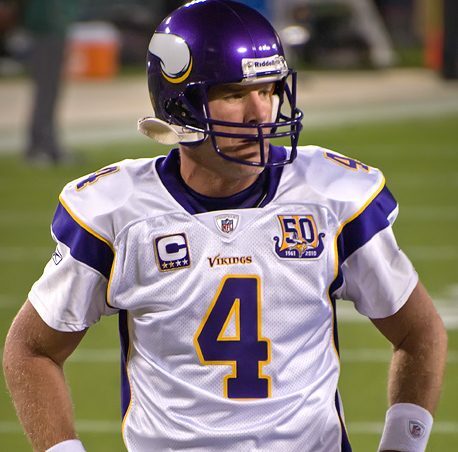 Though he deserved criticism for the throw, Favre was (illegally) bludgeoned all game and still played well enough to get the Vikings to the precipice of the Super Bowl. I also still blame the 12 men in the huddle penalty as much if not more for the loss. What a crazy season 2009 was. I hated Brett Favre my entire life, but you better believe I was excited to have him after watching Tavaris Jackson and Gus Frerotte amongst others play quarterback prior to 2009. It was also Percy Harvin’s rookie year, which was fun even if that is hard to remember now. 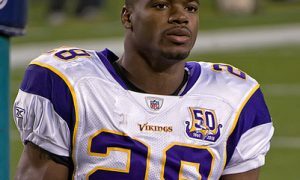 Adrian Peterson was in his prime, the defense was very good, and the Vikings beat the Packers twice in the two biggest regular season games of the year. A very fun season, despite its sour finish. Everyone reading this list knows how this one ended. The 1998 NFC Championship Game occurred when I was 12 and remains the worst sports-related moment of my life. The damn Dirty Bird Atlanta Falcons played a great game, took advantage of a couple critical errors by the Vikings and robbed the sports world of a titanic Vikings-Denver Broncos Super Bowl matchup. The reason it hurts so much still is how good that Vikings team was. They broke the NFL single-season scoring record (broken again the following season by the St. Louis Rams) and had a strong defense. Randy Moss burst onto the scene as a rookie and destroyed every defense in his path. Randall Cunningham resurrected his career, at least briefly. Cris Carter and John Randle, Hall of Fame legends, came as close as they ever would to reaching the top of the mountain. Despite the ultimate disappointment attached to this season, the 1998 Vikings still deserve to be celebrated. I have to be honest for a moment. As a diehard Vikings fan who was born in 1986, all of the Super Bowl losses that occurred before I was born are a bit to slot on this list because they all seem so similar: Great regular season, terrible Super Bowl. Anyway, the particulars of 1973 were that the Vikings bounced back on multiple fronts. Not only did they redeem themselves from the playoff shortcomings of 1970 and 1971, but also recovered from a thoroughly mediocre 1972 which saw them finish 7-7 and miss the playoffs altogether. After starting 9-0 and finishing 12-2 in 1973, the Vikings beat Washington in Bloomington then blew out the Cowboys in Texas to advance to their second Super Bowl. Super Bowl VIII was a laugher, with the Miami Dolphins topping the Vikes 24-7. The 1969 Minnesota Vikings season is significant for two reasons. First, it ended in their first Super Bowl season. Secondly, it is technically speaking their only NFL Championship to date, as 1969 was the final season before the AFL-NFL Merger. In comparison to the other Vikings Super Bowl appearances, there is one other major difference between IV and the rest outside of it being the franchise’s first. It was also the only World’s Championship the Vikings have played without Fran Tarkenton at the helm. Although Fran was drafted by the Vikings, he played the middle part of his career, including 1969, for the New York Giants. In stepped Smokin’ Joe Kapp, who played well but his career certainly does not measure up to the Hall of Fame credentials of Tarkenton. Unfortunately, the heavily favored Vikings fell in the big game to the Kansas City Chiefs 23-7. The 1974 regular season was actually pretty ho-hum by Purple People Eaters standards. Yes, they won the NFC Central Division, like they did eight out of the 10 seasons in the 1970s. However, their final record was 10-4, which is very solid but was below the 11 to 12 wins they had most of the seasons around that same vintage. It should be noted though that parity was king in the NFC in 1974. All four playoff teams entered the tournament with identical 10-4 records. The NFC Playoffs though went much better than 1971 and 1975. The Vikings steamrolled the St. Louis Cardinals at home before winning a tight 14-10 decision over the Los Angeles Rams. Super Bowl IX ended like all of the rest of the Vikes appearances though, with the Vikings losing this one 16-6, being held scoreless until the fourth quarter. Over 40 years and counting. That’s how long it has now been since the Vikings appeared in the Super Bowl, after making it 4 times in 8 seasons from 1969-76. The ’76 season represented that last shot at the brass ring, though no one knew it for certain at the time. 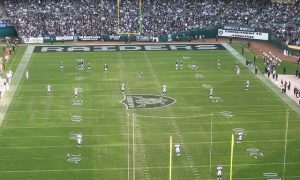 Super Bowl XI ended the same as the other Vikings appearances, losing in lopsided fashion, this time to the Oakland Raiders. Though I was not alive for another decade, I have to believe the Vikings and their fans had to start seeing the writing on the wall for that particular group’s championship chances. As I alluded to before, any of the four Vikings’ Super Bowl losses could credibly hold the top spot on this list. Being that 1976 was their last appearance in the big game before they began to wander the desert for the past 40 plus seasons, I decided to put it first. Here’s hoping a magical season can drastically shake the top of this list very soon.